Disneyland is the original Disney park and thus home to many classic rides. But Disney has done its very best to keep the park modern, which results in it having one of the best attraction lineups of any Disney park. Read on to learn everything you need to know about the rides of Disneyland! Let’s start with “brass tacks”—the rankings. This list, like this entire guide, pertains only to Disneyland park, not the entire resort. We have a separate guide to the rides of Disney California Adventure—the other park at Disneyland Resort—if you’d like to learn more about those. This is a completely subjective list, and it doesn’t at all compare to the thought I put into the ranking of all the rides at Walt Disney World. Indeed, it might not even be consistent with those rankings. We discuss all of these in detail below. So read on or CTRL+F to the ride you’re interested in learning more about. Now, onto the guide! Much of this guide will compare rides to their Walt Disney World counterparts. 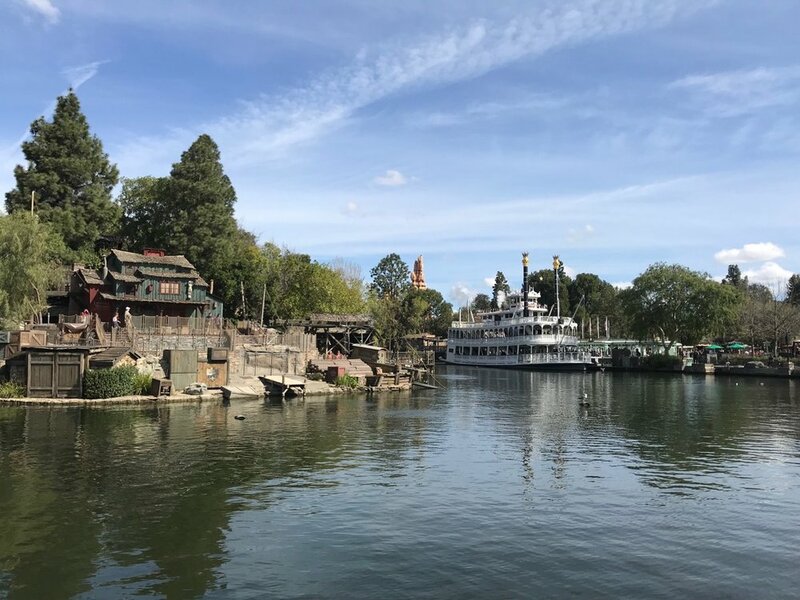 While we do try to give a good overview of each ride for people who have never been to any Disney park, the comparisons are helpful because many of our readers are Walt Disney World veterans. We also have a plan for how to visit these rides in a single day in our one-day Disneyland Itinerary. For each attraction, we give a “Riding it” style tip. For the most part, this will just tell you whether to (1) visit at rope drop (read about rope drop at Disneyland), (2) get a FASTPASS, (3) expect a short wait, or (4) visit midday while waits across the park are long, the heat is high, and you’re waiting on your next FASTPASS. We also indicate, next to the ride names, whether these rides offer FASTPASS or a single rider line. If you don’t know about FASTPASS and MaxPass at Disneyland and Disney California Adventure, we recommend adding our guide to your reading list. If you have access to Extra Magic Hour or Magic Morning at Disneyland, you’ll want to read out post on that as well. The first land you’ll enter at the park is Main Street, U.S.A. While it’s mostly known for the shopping, snacking, and scenery, there is plenty to be experienced in this land. We typically combine much of our Main Street, U.S.A. activities into block around 2PM. The Disney Gallery is a collection of art and artifacts pertaining to Disney, particularly the Disney parks. There’s no reason not to at least drop in for a quick peek. Visiting It: The Disney Gallery is a good way to get out of the heat in the middle of the day while waiting on your next FASTPASS. 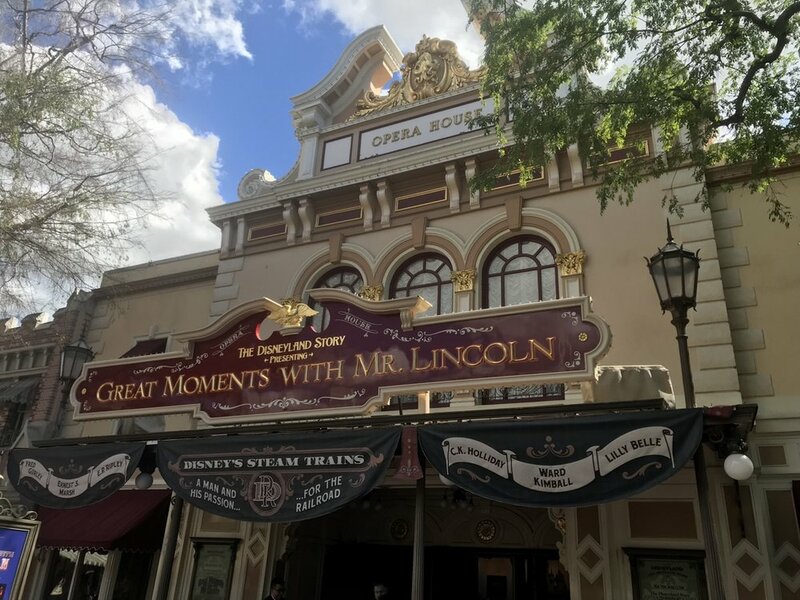 Great Moments with Mr. Lincoln is a legendary audio animatronic show centering on President Lincoln and the Civil War. It is absolutely a must-do during a visit to Disneyland. 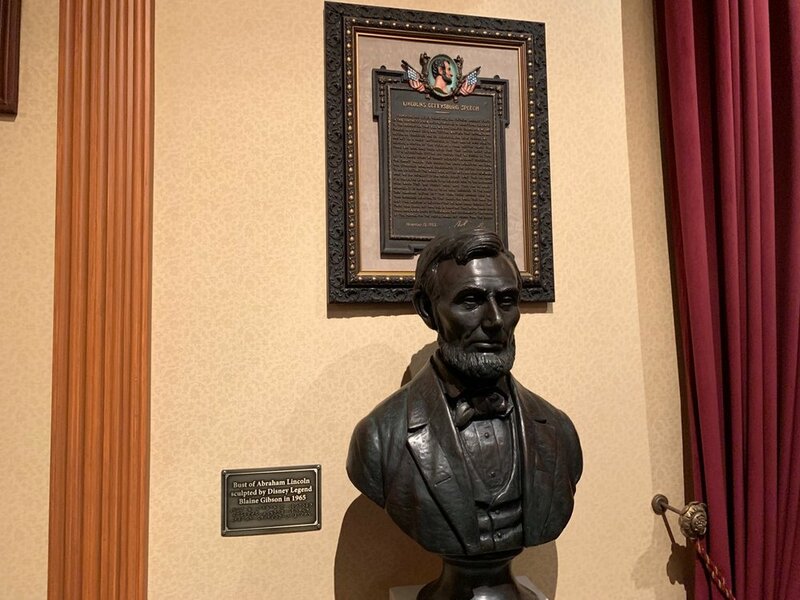 Watching It: Like The Disney Gallery, you’ll want to visit Great Moments with Mr. Lincoln during the middle of the day while waiting on your next FASTPASS. The Disneyland Railroad is an open air railroad attraction that takes you around the perimeter of Disneyland park. It should not be confused with the Disneyland Monorail, which is a monorail that takes you between Downtown Disney and Tomorrowland. The Disneyland Railroad makes stops at Main Street U.S.A., New Orleans Square, Toontown, and Tomorrowland. The ride does have elements (e.g. scenery, narration) that go beyond just rolling around the park, so it is definitely worth a ride. 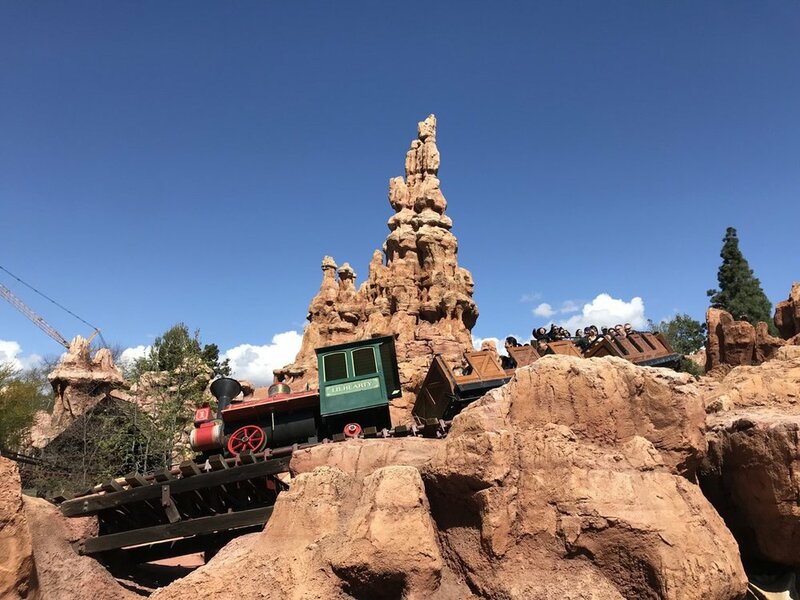 Riding It: The biggest factor in determining Disneyland Railroad wait time is how many trains are running, and sometimes you’ll have to wait for multiple trains. It’s a good midday ride, as you’ll at least be sitting for the ride. If there are big crowds, Tomorrowland is the place to find the shortest waits. The Main Street Cinema is an indoor attraction that consists of six screens showing Disney shorts—typically very old, Mickey Mouse shorts. We find this really cool, and it’s a great piece of Disney history, but it will take a decent chunk of time to watch all of each of the shorts. Visiting It: Pop in at any point during the day, particularly when you want to get out of the sun. The Main Street Vehicles are a collection of vehicles that make one-way trips between the front of the park (Town Square) and Sleeping Beauty Castle. They are low capacity but rarely have waits other than waiting for the vehicle to arrive and depart. Maybe these are a bit simple or cheesy, but they’re a classic that we consider a must-ride. Riding It: The Main Street Vehicles have the most limited hours of any attraction, though they do often run into the afternoon, unlike their Magic Kingdom counterparts. We’d recommend trying to catch them as late as possible (minding their hours!! ), as there are higher priorities early in the day. After walking down Main Street, U.S.A., you’ll be at the hub of the park. To your right is Tomorrowland, a land themed to the future (but really mostly to outer space). Astro Orbitor is an aerial carousel (like Dumbo). 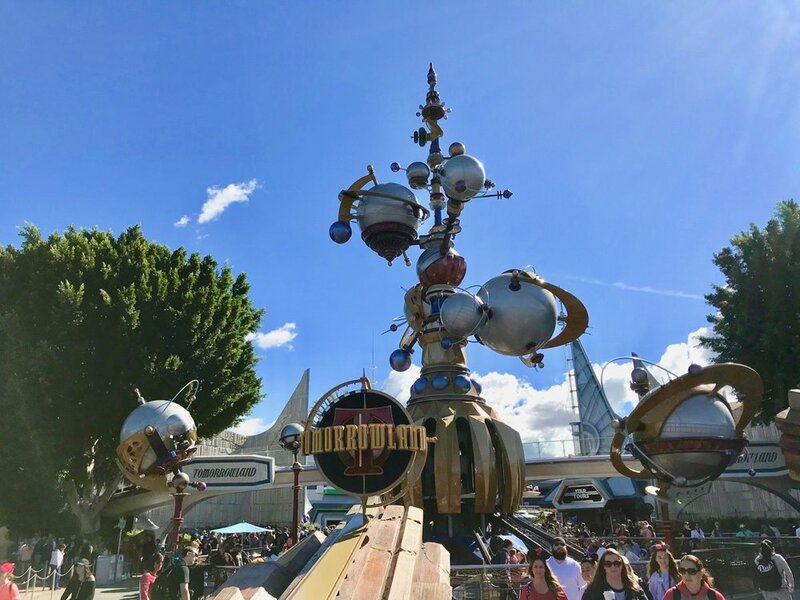 Unlike the differently-spelled Magic Kingdom version, Astro Orbiter, Astro Orbitor at Disneyland is not elevated. The position right near the entry to Tomorrowland sort of makes up for this, as you’ll be treated to good views of Sleeping Beauty Castle. Riding It: Hop on in the first two hours of the day or last hour. Following our rope drop strategy, it’s good to come here after your first three Fantasyland rides. This is a higher morning priority than the dark rides and carrousel in Fantasyland. Autopia is a go kart style ride. Besides some small scenes along the course, Autopia offers unique views of Tomorrowland. Generally, this is a “what you see is what you get” kind of attraction. If your kids (or you) have to drive around, then ride it. Otherwise, you’re not missing out. Riding It: Most people head to Autopia as a sort of “tier 2” attraction after they’ve hit major highlights to start their day. We suggest getting there around 10AM to 11AM and bearing with a 10 to 20-minute wait. It’s a really unpleasant ride to spend too much time on or around because of the fumes and annoying noise of the cars running. If you’re unfamiliar with the Buzz Lightyear rides at every Disney castle park, they’re essentially standard dark rides with a twist—you’re equipped with a laser gun and tasked with shooting targets. Many people prefer the Disneyland version over the Magic Kingdom version because the guns are attached by a cable and can be dismounted and moved freely. Riding It: You can either ride this early in the day when the wait is 5 to 10 minutes (if you’re trying to double up on it) or just grab a FASTPASS for it anytime in the day. It’s one of the easier FASTPASS reservations to get. The Disneyland Monorail operates between Downtown Disney and Tomorrowland. You can use it either as an entry / exit to the park or just as a 15-minute attraction if you round-trip back to Tomorrowland. Riding It: Waits for the monorail rarely get long. Ride it midday to escape the sun and chaos of the park, or save it for when you’re leaving. Finding Nemo Submarine Voyage is a 15-minute underwater ride located in Tomorrowland between Autopia and Matterhorn. The ride is an older submarine attraction with a permanent Finding Nemo overlay. It’s reminiscent of the Epcot ride The Seas With Nemo and Friends, but the technology—the underwater submarine—is quite different. Keep in mind you are in a 40-person, dark, underwater submarine, sitting shoulder-to-shoulder for 15 minutes. And like all rides, there are sometimes unexplained delays. If those conditions don’t sound okay to you, don’t ride! Riding It: Finding Nemo Submarine Voyage is one of the most annoying rides to fit into your day. Because it has a long load time and ride time, it is a bad choice for early in the day. It also is one of the more popular rides without FASTPASS, making it a bad choice for the middle fo the day. Typically we place this is as a low-priority attraction. We’ll squeeze it in around 3PM to 6PM and just deal with the wait. Star Tours laid the technological groundwork for some of the best rides in Disney parks. Once you enter your Star Tours vehicle with the other passengers, the movement of the vehicle and the screen in front of you combine to take you on a thrilling journey through the Star Wars universe. There are two really great things about Star Tours, beyond the ride itself. First, the queue is one of the best at Disneyland. Once you’re inside the building, you’re in your storyline, preparing to depart on your tour. Second, the ride is dynamic. Disney has added storylines every few years as new Star Wars movies have come out, so you can have different experiences across multiple rides. Riding It: You usually won’t have much trouble grabbing a mid-to-late FASTPASS for this. The Star Wars Launch Bay is a walkthrough attraction featuring various Star Wars exhibits. There is a film about the making of the Star Wars movies, a video game station, and character greetings. Visiting It: You can explore the Launch Bay freely, just check its operating hours as they are usually more limited than the park hours. Space Mountain is a similar concept but better execution the Magic Kingdom version. The basic elements are the same—it’s an indoor space-themed ride in the dark. The major difference for us is that the Disneyland version is much smoother, and that puts it on our list of the top Disneyland rides. Riding It: We typically make this our first FASTPASS. Guests looking to double up on the exciting rides can head here in the first 30 minutes. There’s also a single rider line. The back of the park, starting with and behind Sleeping Beauty Castle, and between Frontierland and Tomorrowland, is Fantasyland. Fantasyland is where you’ll find most of the “traditional” Disney rides, like the carrousel, Dumbo ride, and the dark rides through storybooks. Alice In Wonderland is a straightforward dark ride themed to the 1951 Disney film…Alice in Wonderland (surprise!). It’s one of Disneyland’s longer and more enjoyable dark rides, and it usually has a wait that is reflective of its quality. Riding It: If you must ride Alice In Wonderland (we think you must), it should be done in the first 30 minutes or last hour of your day. The ride will have a long wait within the first fifteen minutes of the park opening, and it will hold that wait until the evening entertainment starts. The Casey Jr. Circus Train is a small railroad ride that takes guest around the miniature scenes in Storybook Land. It’s not a must-ride (well, it is to us), but it is usually good to pair with Storybook Land Canal Boats. Riding It: Like Storybook Land Canal Boats, the Casey Jr. Circus Train sometimes has limited hours. We recommend pairing it with Storybook Land Canal Boats if the wait is under 20 minutes. Typically we try and get these done early in the morning, but they’re not the worst rides to push into the afternoon. Dumbo is the famous aerial carousel of Disneyland. Ride in your very own Dumbo vehicle, soaring in a circle at a moderate height about the ground. 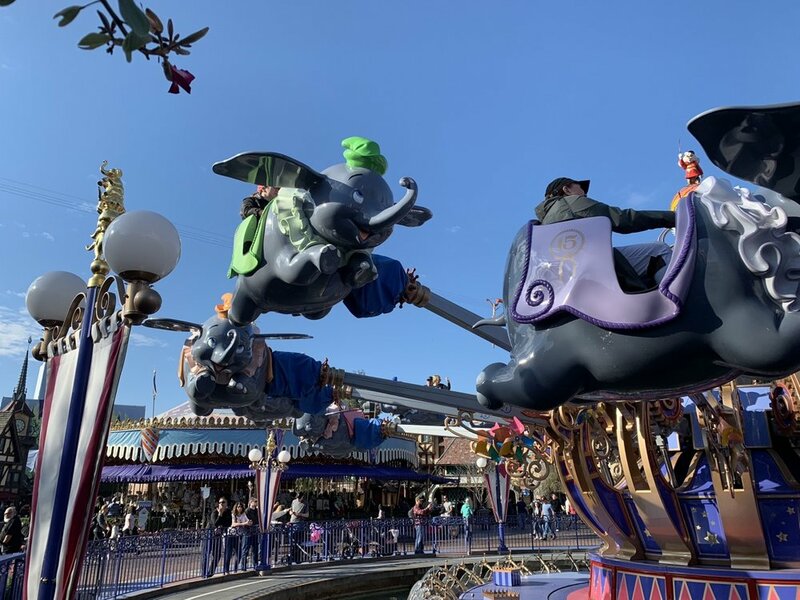 Riding It: After Peter Pan’s Flight and Alice In Wonderland, Dumbo is the highest priority for your morning in Fantasyland. Typically we try and just hop in line early, right as it’s unloading to walk right onto the ride. “It’s a small world” is the classic boat ride through colorful displays celebrating the different countries and cultures of the world. It’s all to the tune of the somewhat maddening song, “it’s a small world.” We find the Magic Kingdom version to be a little better, but generally we don’t love it. Riding It: This is the lowest priority FASTPASS at Disneyland, and we’ll usually just grab one later in the afternoon. Riding It: King Arthur Carrousel generally has low wait times throughout the day. We rarely ride it in the morning, as it isn’t a good use of time. Usually we’ll fit it into the afternoon or push it later into the evening. Mad Tea Party is the classic spinning ride. Grab a seat in a colorful teacup and spin around for about 90 seconds. Note that while you control the most vicious part of the spinning, some amount is unavoidable. Riding It: Mad Tea Party is a lower priority Fantasyland ride. We’ll often ride it early when it’s a walk-on, but it can be saved for the afternoon, too, if you don’t mind a mild wait. Matterhorn Bobsleds isn’t a perfect roller coaster, but it has a special spot in my heart. This is a bit of a bumpy, uncomfortable ride through the Matterhorn, where you’ll encounter the Abominable Snowman. While the ride isn’t itself comparable to Disney World’s Expedition Everest (something like Barnstormer is probably a better comparison), it clearly influenced that ride. As an adult who loves Everest, Matterhorn really makes me feel like a kid again. Riding It: If you want to ride it multiple times, feel free to trade off some more “kiddie” rides to fit this into your morning standby waits. Either way, we typically make it our second FASTPASS, after Space Mountain. There is also a single rider line. There are several great dark rides at Disneyland, but Mr. Toad’s Wild Ride stands above them. For one, most of us know very little about Mr. Toad, so this adventure and its characters are all new to us. Beyond that, the ride has a bold turn in its narrative in a way that few Disney rides do (sorry, no spoilers!). Riding It: If the morning is slow, we’ll sometimes squeeze this one in while it has a short wait. Otherwise, it’s safe to save it for midday when you can grab a 20 to 45 minute wait while waiting on your next FASTPASS. There are differences between Peter Pan’s Flight at Disneyland and at Magic Kingdom, but most casual guests are unlikely to notice much. This is another dark ride with a twist—you’ll “fly” through the story of Peter Pan, hanging from above in your very own flying ship. Riding It: Head there at rope drop. Peter Pan’s Flight is the ride without FASTPASS that maintains the longest waits throughout the day, and it is close to so many other good morning rides that we pretty much always start our day at Peter Pan’s Flight. Pinocchio’s Daring Journey is a standard dark ride through the story of Pinocchio. As this ride isn’t found in Magic Kingdom, we definitely think it’s worth a visit if you can make time for it. Riding It: If the morning is slow, we’ll sometimes squeeze this one in while it has no wait. Otherwise, it’s safe to save it for midday when you can grab a 15 to 30 minute wait while waiting on your next FASTPASS. The Sleeping Beauty Castle Walkthrough is one of the finest examples of a walkthrough attraction in a Disney park. Inside of Sleeping Beauty Castle, you can walk through an artistic telling of the story of Sleeping Beauty. The art is beautiful, and this is a chance for everyone to explore one of the most iconic structures in theme park history! Visiting It: The Sleeping Beauty Castle Walkthrough is a great way to pass some time in the middle of the day. No need to worry about waits. The Storybook Land Canal Boats is an outdoor boat ride that takes guests past a variety of miniature models of Disney film settings. These are really cool, and Storybook Land Canal Boats is definitely an underrated attraction at Disneyland. Riding It: Waits for Storybook Land Canal Boats typically sit between 15 and 45 minutes. The ride does not have FASTPASS, and it sometimes has limited hours. This is a ride for passing time midday, hopefully with a shorter wait. If our morning is going well, we’ll sometimes squeeze it in early. Let’s clear the air—I think Mickey’s Toontown is a travesty, but I get that lots of kids love it. One of my most “Disney” moments was walking into this land shaking my head while a kid next to me screamed “WOW THAT’S THE COOLEST THING EVER!” The land is located at the far back of the park, down a path next to “it’s a small world.” It usually has limited hours. I’m combining Chip ‘n Dale Treehouse, Donald’s Boat, and Goofy’s Playhouse into one item here. These are three play areas for small children around Toontown. Visiting Them: They’re a good place to let the smallest children unwind briefly. They’re typically open with no lines throughout the day, just mind the Toontown hours. Gadget’s Go Coaster is a very short kiddie coaster (I think it’s the shortest ride in Disneyland Resort). That said, it’s really quite enjoyable for its length and relative low profile in the back of the park. Riding It: Because of its position in the back of the park in Toontown, Gadget’s Go Coaster has really varying waits. People seem to just crowd and camp out in Toontown at random points in the day, with waits fluctuating between 15 minutes and 45 minutes sometimes faster than Disneyland can update them. 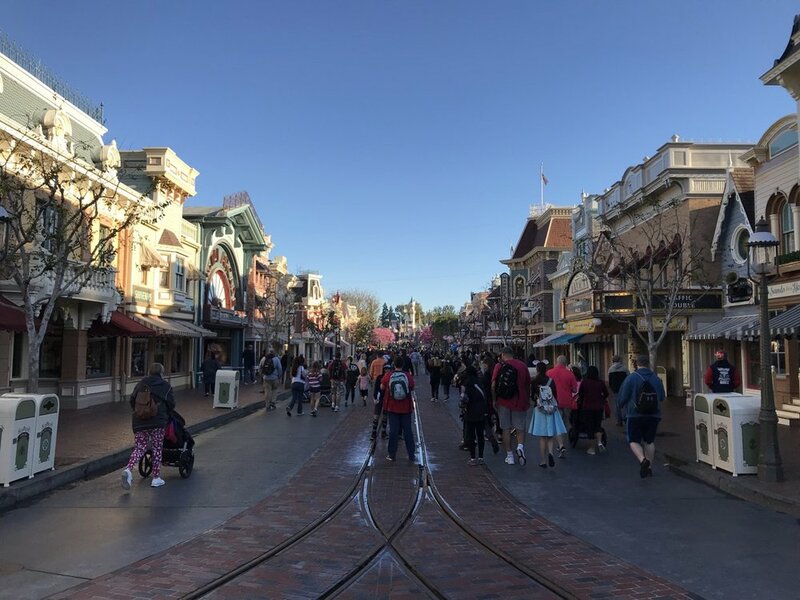 It’s typically safe to wait for a time with a 20-minute wait midday, but if you have to get on it you’ll want to head there near when Toontown opens or closes. These are two different houses for meeting the two different characters, but our advice for each is the same. The houses are primarily used as a queue for guests meeting Mickey or Minnie. Visiting It: Mickey and Minnie are incredibly popular, so your best options are to visit right when Toontown opens (usually later than the rest of the park) or later in the day. Just mind the hours of the attraction and the land, and keep in mind that times immediately after parades (during which time the characters are at the parade, not in their houses) or nighttime shows are likely to see a bump. Roger Rabbit’s Car Toon Spin is a hybrid spinning ride (like the teacups) and dark ride. Your vehicle spins as you proceed through the Roger Rabbit story. It’s actually a really well-designed dark ride, and I think it would be better without the spinning. Riding It: This is one of the easier FASTPASS rides to get. You can typically keep an eye on FASTPASS windows and grab one later in the day, minding that Toontown usually closes early. 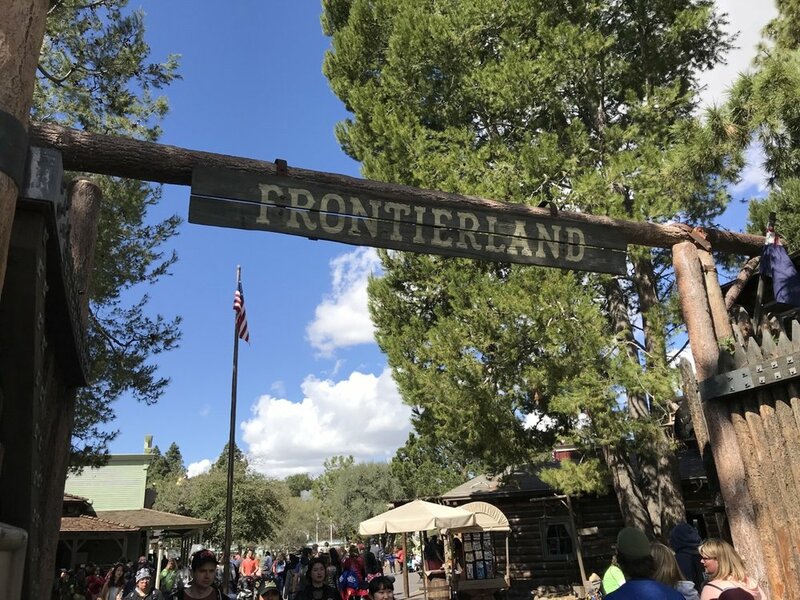 Continuing counter-clockwise around the park from Fantasyland, you’ll find Frontierland. You can enter the land via a winding path from the back of Fantasyland or through its main gate at the park’s hub. Big Thunder Mountain Railroad is, deservedly, one of the most famous rides in the Disney parks, and the Disneyland version is our favorite. This roller coaster takes you on an awesome adventure through Big Thunder Mountain. The ride is on of Disney’s longer and most impressive roller coasters. Riding It: Big Thunder Mountain Railroad, despite being so excellent, is really more of a mid-priority ride. Waits don’t jump increase as quickly or as high as the other rides, and FASTPASS times don’t disappear too quickly. You can push your FASTPASS later, but we often grab it third, preferring to push the slower-loading Indiana Jones Adventure into the afternoon. The Mark Twain Riverboat is one of large two boat rides around the Rivers of America. It’s a great way to escape the bustle of the park and see some new sites. The riverboat itself is worth a few minutes of exploration. We prefer the Sailing Ship Columbia. Riding It: Visit it midday when waiting on a FASTPASS and while other waits are long. Mind its limited hours, and try to catch it right when it’s arriving (don’t wait in line for it immediately after it departs). Pirates Lair is a large, explorable area geared toward children. You have to take a raft to get there. Most parents use this as an opportunity to let their kids run wild, keeping a loose eye on them (age dependent) or meeting them at the other end of a cave. You could easily spend 30 minutes or more on the island, but we usually save it for late midday and only include it in our day if things work out. Visiting It: Visit it midday when waiting on a FASTPASS and while other waits are long. Mind its limited hours. The Sailing Ship Columbia is one of large two boat rides around the Rivers of America. It’s a great way to escape the bustle of the park and see some new sites. The ship itself is worth a few minutes of exploration. We prefer this ship to the Mark Twain Riverboat. Riding It: Visit it midday when waiting on a FASTPASS and while other waits are long. Mind its limited hours, and try to catch it right when it’s arriving (don’t wait in line for it after it departs). Running parallel to Frontierland is Adventureland. You can cross between these lands right near their entrances or at Pirates of the Caribbean, the start of New Orleans Square. After walking down Main Street, U.S.A., the gateway to Adventureland is the first one on your left. There are a few of reasons people might not love Indiana Jones Adventure. It was originally based on a non-Disney property (since acquired by Disney), and people don’t like that. It’s also shares a ride vehicle and nearly identical (no, they’re not identical, don’t get me started) track layout with DINOSAUR. But scroll up and look again (don’t actually)—we put this as our top ride at Disneyland. That’s how good it is. Honestly, the comparisons to DINOSAUR are downright silly, as the rides use completely different effects and room designs. In case you’re unfamiliar with DINOSAUR, sorry to have left you behind! Indiana Jones Adventure takes you on a journey through ancient ruins in a 12-person vehicle (like a big car). There are twist, turns, small drops, and frightening moments. There’s a lot of greatness in this ride, and it is a definite must-ride at Disneyland. Riding It: Indiana Jones Adventure is a high-demand FASTPASS attraction, but the FASTPASS queue is not the quickest. We try to push Indiana Jones Adventure into the middle or end of the day, usually with our third or fourth FASTPASS. You may need to move it up earlier on a busy day. Jungle Cruise is an outdoor boat ride through various jungle scenes led by a humorous skipper. It is among the most classic of Disney attractions, even if you aren’t blown away by the jokes. If you are blown away, they’ll probably have to file a missing person report (see, I’m not as clever as your skipper). 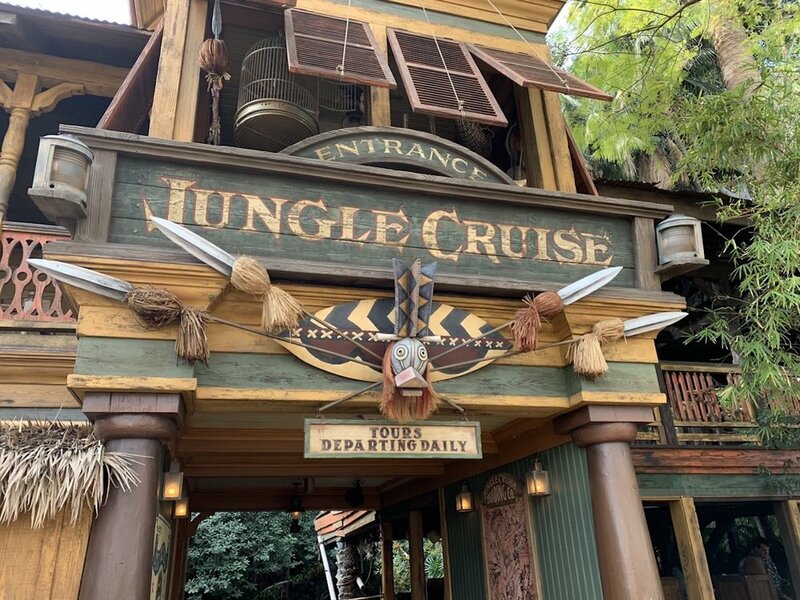 Riding It: We prioritize Jungle Cruise and try to get to it in the morning when it is a walk on or at least when the waits are 20 minutes or less. It’s a better ride during the day (at least if you’re new to the ride), so don’t push it too late. Tarzan’s Treehouse is Disneyland’s version of Swiss Family Robinson Treehouse. Walk up and down this treehouse to see what Tarzan’s home is like! Visiting It: While it isn’t a must-do, Tarzan’s Treehouse pretty much never has any wait, making it a good attraction for passing time during the middle of the day or squeezing into the end of the day. This 15-minute classic animatronic bird show is a must-watch for anyone looking for a true “Disney” experience. That said, it’s one of those shows that isn’t for everyone. We love it and try to see it every time we have a day at the park. Watching It: Walt Disney’s Enchanted Tiki Room rarely has waits, but shows run only every 20 to 30 minutes. It’s a great place to get away from the heat midday (they sell Dole Whip outside it) while you’re waiting on your next FASTPASS. 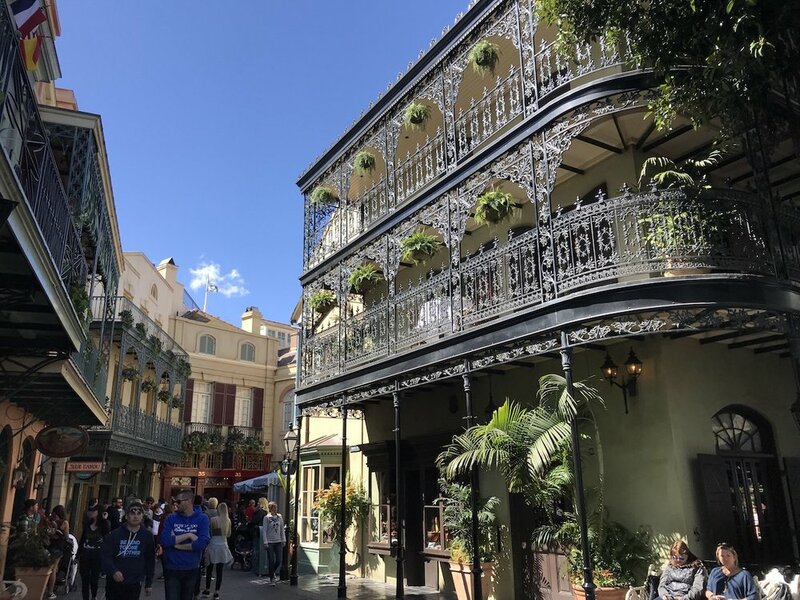 The first land added to Disneyland was New Orleans Square. It sits just past Adventureland and Frontierland, beginning where those lands converge at Pirates of the Caribbean. The design of the itself is beautiful and some of Disney’s best work. It would be insulting to Haunted Mansion—and it would earn me the hatred of its many fans—to say the Florida and California versions of this ride are mostly the same…but they really are. 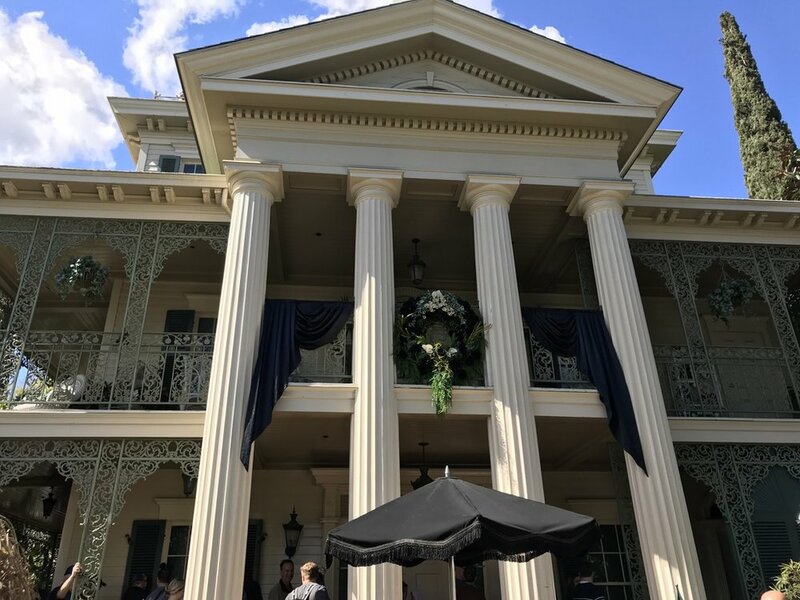 Yes there are some differences, but conceptually, if you’ve been on Haunted Mansion in Magic Kingdom, or even Phantom Manor in Paris, you’ll know what to expect. This is a dark ride through haunted house that is playing host to 999 “happy haunts.” Some kids will find it a bit scary, but at the end of the day it walks a great line between fright and whimsy. This is definitely a must-ride when visiting Disneyland. Riding It: Outside of the holiday season, when the ride is overlaid with Nightmare Before Christmas design, you’re safe to grab a FASTPASS for this one midday. The Disneyland version of Pirates of the Caribbean is the longest in the world at over 15 minutes. It’s a dark boat ride that takes you through the spooky, adventurous, and fun story of the pirates in the Caribbean. There are obviously lots of similarities to other versions of the ride, but this is a unique version that is a must-ride at Disneyland. Riding It: This is one that you need to walk a fine line with. It’s too long to visit immediately at the start of the day, but waits can get long and there’s no FASTPASS. We’ll typically squeeze this one in right at the tail end of our morning, about 90 to 120 minutes into the day. 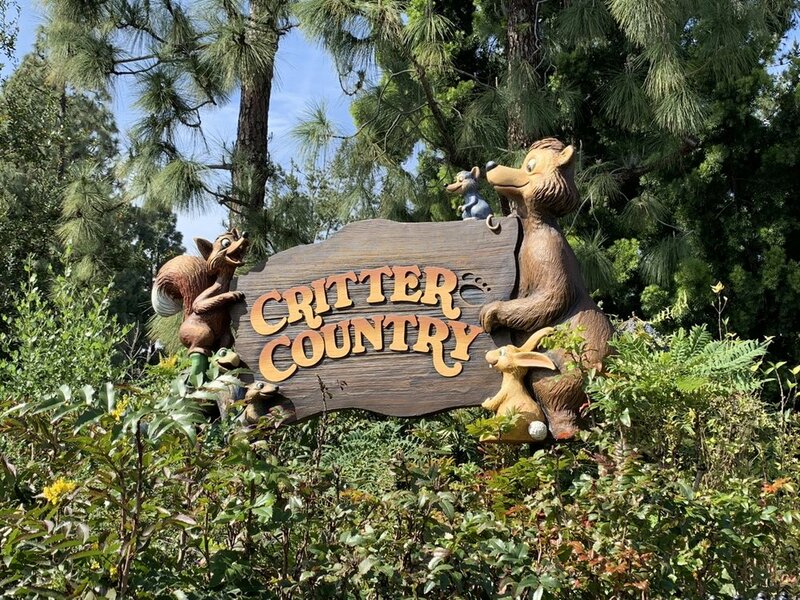 Critter Country is located all the way at the other end of New Orleans Square. The land is a real pain to get to, but it thankfully shouldn’t demand too much of your time. Davy Crockett’s Explorer Canoes is a canoe ride around Tom Sawyer island where the 20 guests in the canoe are asked to paddle their way through the ten-minute journey. It’s a tiring attraction, but one we try and visit when it’s operational just because it’s so rare. Riding It: Davy Crockett’s Explorer Canoes is highly seasonal and typically only operates during the busiest days, and even then they have very limited hours. Waits typically sit between 10 and 20 minutes when they’re operating. This dark ride takes you through a story of Winnie the Pooh, including his dreams, while a storm hits the Hundred Acre Wood. It’s a fun dark ride, better than Snow White and Pinocchio. It’s very similar to the Magic Kingdom version. Riding It: Because of its location all the way in the back of the park, The Many Adventures of Winnie the Pooh rarely gets long waits. You’ll typically just be able to pair it with a visit to Splash Mountain or Haunted Mansion. Ideally, you’ll fit it right between two FASTPASS reservations for those two rides. This is the classic log ride attraction. Really, it’s a hybrid attraction. Most of the ride is a great dark ride through the story of Brer Rabbit being chased by Brer Fox and Brer Bear. The finale is the large, wet drop from the top of the mountain into the Briar Patch. A near-perfect example of storytelling on a ride, this is a must-ride at Disneyland. In the first two rows we always get wet, usually mostly as a result of parts of the ride prior to the large drop. Riding It: Splash Mountain demand varies greatly with weather. On warm days, or warm hours on average days, the wait times and FASTPASS demand spike. If you must ride when it’s warm, trying to grab a well-timed FASTPASS is the only option. For maximum enjoyment of the rest of the park, we suggest dealing with getting wet outside those high-demand times.